People make the decision to change careers for a variety of reasons, some of which may be related to personal preferences or changes in job outlook. Although the economy appears to be on the mend, some have opted to look into additional training for a second career. 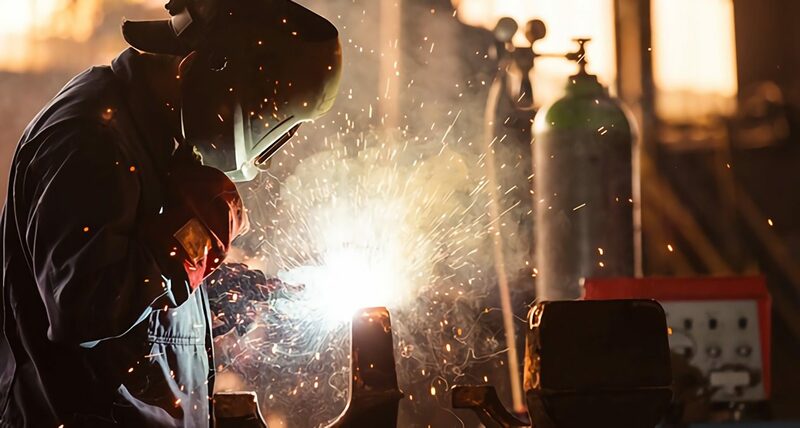 Welding as a career has a lot to offer for those who want to switch careers: a short training program, increasing demand, travel opportunities, and job variety. Perhaps the greatest benefit of choosing welding as a career remains the relatively short amount of time required for training to re-enter the workforce. For instance, welding training at TWS can last as little as 7 months, much less than a 2- or 4-year college degree—saving you time and money. Many students at TWS have also spoken about the rapid transition from school to being employed. Rachel Naime, a student who graduated from the TWS welding program, said, “I graduated March 8th, and then, two or three weeks later I was at work, on the job.” After obtaining an initial certification, welders have the option of learning additional specialties in welding, such as welding inspection. The median annual salary for entry-level welders amounts to $38,444. As construction and manufacturing are recovering again after the recession, the number of experienced welders needed in these sectors has also increased. Furthermore, welders are in high demand in the energy industry, which offers very lucrative positions for skilled welders. Those working for electric power companies might make $61,110 a year, while those employed by natural gas producers make $59,620. The demand is especially high in areas where oil and gas is extracted, such as Alaska, California, and the Gulf Coast region. In Alaska, for example, welders make $67,980 per year. As the need for energy is only expected grow (and a large number of experienced welders are set to retire), the demand for skilled welders in these sectors is likely to grow even further in the future. If you have thought about traveling to see the world with your career, you will find ample opportunity for adventure as a certified welder. In fact, offshore oilrigs are in constant need of trained welders, and they offer many benefits not found in other industries around the globe. Not only will you get to look forward to traveling to and from differing rigs in any of the four oceans and dozens of seas, but Offshore Welding Jobs reveals that most offshore welders enjoy exquisite perks that are supposed to make up for the often challenging work conditions: you often have access to saunas, hot tubs, excellent food prepared by trained chefs, and a movie room. You are also afforded longer periods of time off that you can use to travel, as offshore welders normally work on 2- to 4-week rotation schedule. Furthermore, you can determine how much or how little you want to work while maintaining the high rate-of-pay as a certified welder. Professional welders get to work on many different projects and in many different locations. The work environment virtually encompasses every area where construction or manufacturing is needed. According to the Bureau of Labor Statistics 1, 61% of welders work in manufacturing, 11% work in construction, and 10% work in other positions or in wholesale trade. A welder may be working on a commercial construction site for a while, and then later switch to repairing aerospace equipment. Moreover, many jobs may require a workforce that is available around-the-clock, so you may have the option of working overtime, which would further elevate your pay.